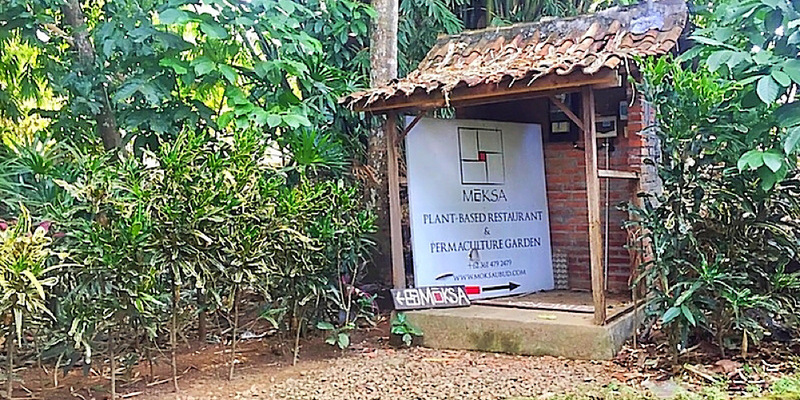 Moksa Plant-Based Cuisine is a 100% vegan restaurant nestled among the lush jungle, along the outskirts of the city of Ubud in Bali, Indonesia. Moksa is located in Sayan-Ubud, just to the west of Ubud, by Penestanan. 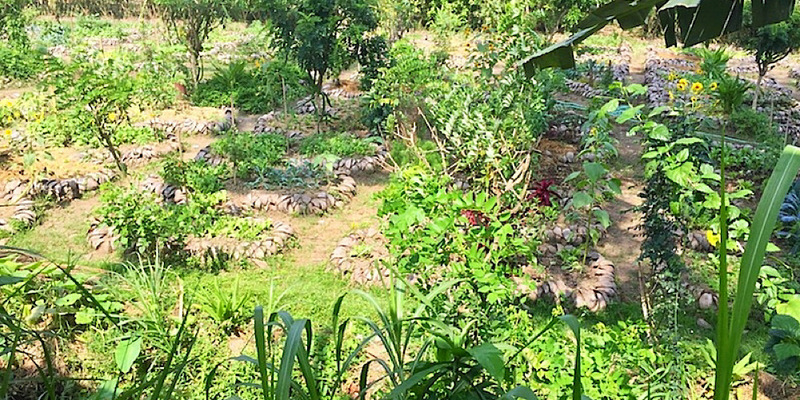 Once you get outside of the busy city of Ubud, the land transforms into a quiet, peaceful, greener space. 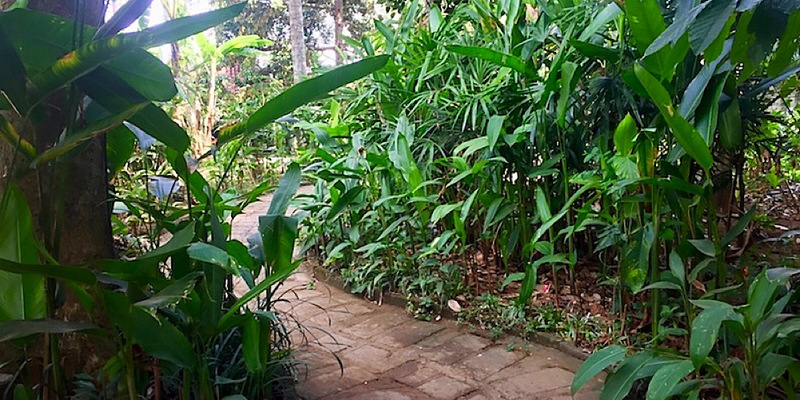 Upon finding the restaurant, you get to take lovely stroll down a lush, fecant, jungle path that will deliver you right into the large, breezy, open-air dining terrace. The food is all super fresh because it's mostly locally sourced from their own permaculture garden right on site. You can even buy produce straight from the garden on their farmers market days. 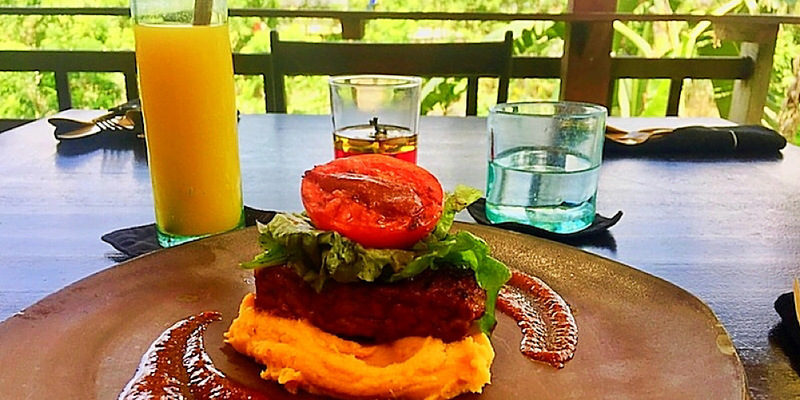 Moksa serves breakfast, lunch and dinner, so the menu is quite impressive. It's huge and everything sounds amazing. There's an assortment of Balinese, Indonesian and Asian dishes like paella, laksa noodles, char kway teow, and green curry. There's even more delicious worldly inspired choices of raw or heated dishes like bruschetta, hummus, tacos, ribs, lasagna, ravioli, enchiladas, pizza, a burger, and even a jackfruit filet mignon plate! Dessert doesn't disappoint either with chocolates, pies, cakes, crepes, puddings and homemade ice cream. Bring your taste buds! I was really wowed by the idea of vegan ribs so I had to give this one a go. 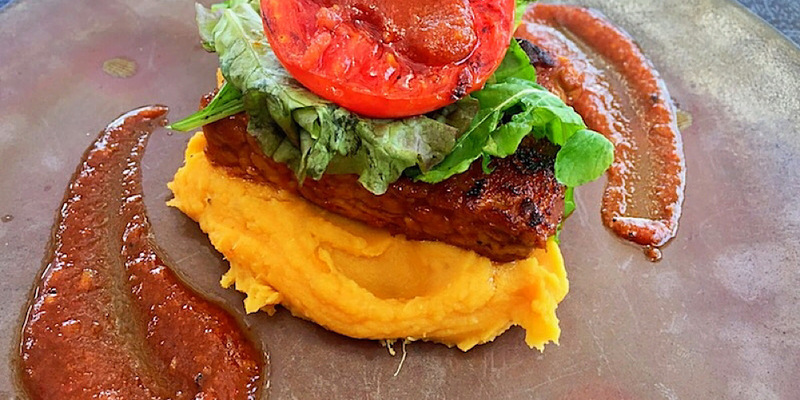 What arrived was a beautifully plated dish of grilled tempeh, which was marinated with their own homemade barbeque sauce, and served on a bed of mashed sweet potatoes, complete with a grilled tomato and mixed greens topper. What a satisfying dish! 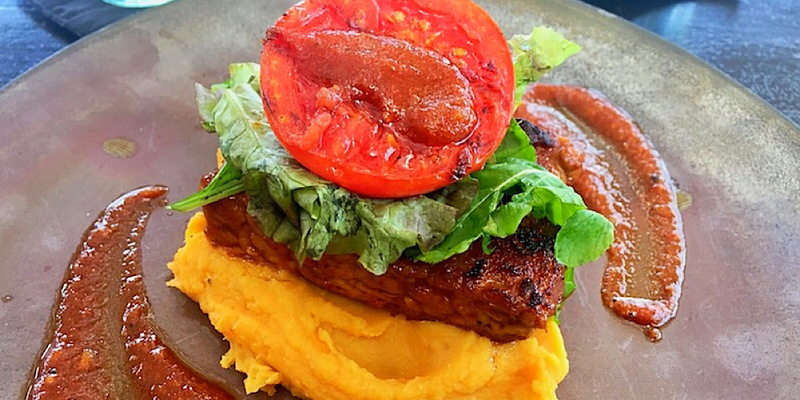 Soft sweet potatoes, warm savory tempeh, and tangy barbecue sauce all blended into an even better version of the American barbeque flavors. Because I love all things turmeric, I had to try the traditional Indonesian health tonic called Jamu. Locals treat Jamu like an essential herbal medicine. It's made and sold most everywhere and is even so revered that many Indonesians drink it daily. Moksa's Jamu is called Love Jamu so you already know exactly how to feel about it. It's a blend of turmeric, tamarind, lime, betel leaves, pepper, coconut sugar and coconut water. It packs quite a healthy and tasty punch. I couldn't get enough of it! 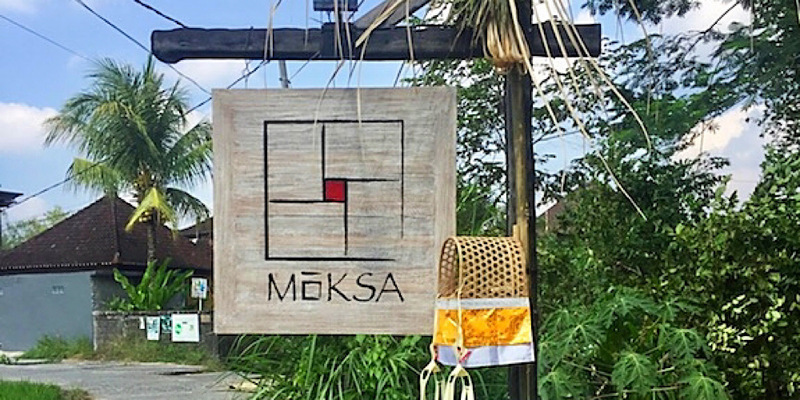 Visit Moksa for all your dining needs, farmers market Tuesdays and Saturdays, cooking classes, and dojo offering classes in yoga, kungfu, tai chi, and more, in Sayan Ubud. Much love to Moksa for aiming for zero waste by using bamboo straws, cloth coasters and beautiful glass and stoneware.